My husband raises bananas, and they tend to ripen all at once. We hustle to give away the quickly ripening bananas before they go black. My daughter shared with us a one-ingredient ice cream that requires only bananas. 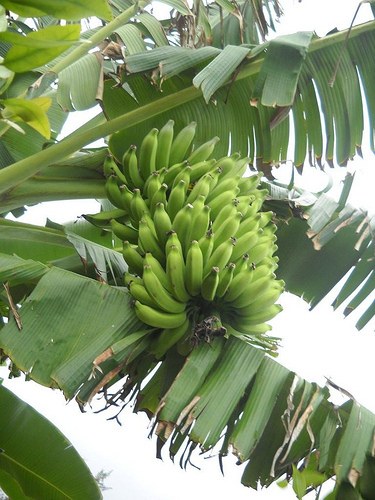 At first I was skeptical, but after the first try, I was convinced that we had found a delicious remedy for our prolific banana plantation. 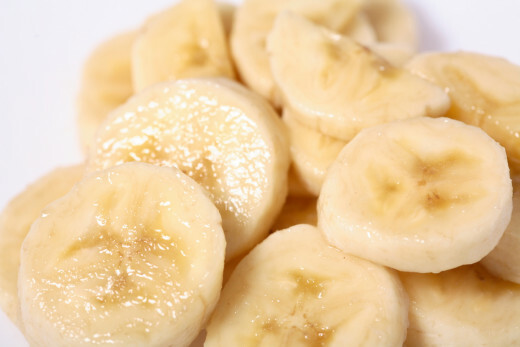 Cut peeled bananas into coin-sized slices and place in pie or round cake pan. Place in blender or food processor and whiz until they become the same consistency as soft-serve ice cream. May take up to 5 minutes. Scrape down as needed to incorporate all of the banana. Transfer to a container that can be frozen. Place in freezer for 30 minutes to an hour. One-ingredient banana ice cream is a satisfying no-guilt treat made without sweeteners, dairy or fat. This recipe is great for fitness buffs, vegans, and health nuts. You may be wondering if you must add sugar or dairy. The sugar in the bananas is enough to sweeten it. If you have difficulty blending the bananas, you may add 2 tablespoons of milk or soymilk. Add your additional ingredients after you have processed the bananas, but before freezing. Get creative and experiment to find which ingredients you prefer. We had some guests last night and served them our one-ingredient banana ice cream. They were so surprised when we told it them it was made from only bananas. We had them try it with peanut butter mixed in and one with strawberry syrup. Now they want to try it too. One of the guests remarked that it melts just like regular ice cream. Try it - it just may also make a believer out of you! Delicious recipe, thank you for posting! I am making this today---and I thank you for sharing---it looks delicious. 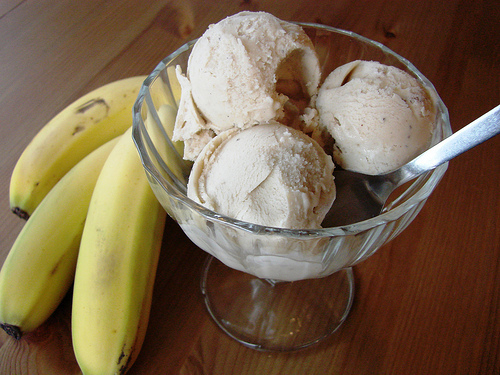 The flavor of banana in ice cream is so different and is such a lovely blend. You have put together an interesting taste in ice cream. very useful information and detailed as well. 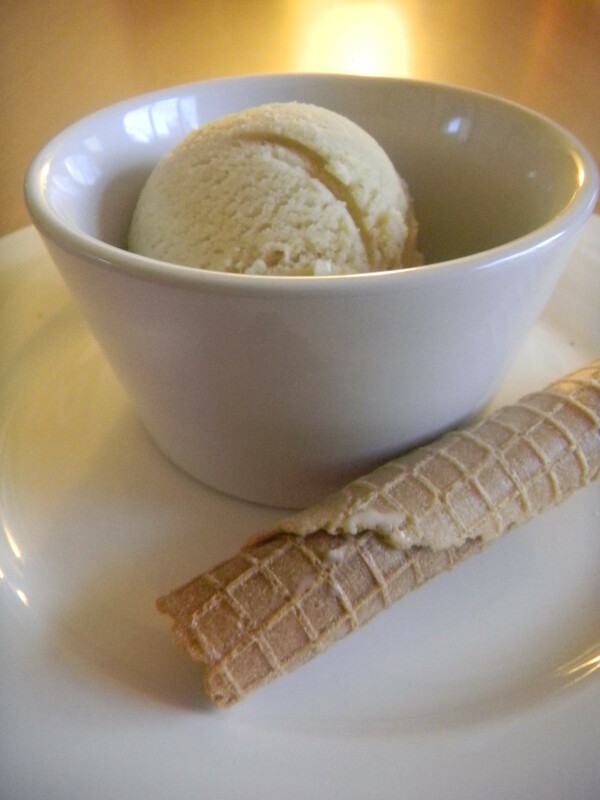 i love how healthy the banana ice cream is and how simple it is to make. thank you. voted up. Thank you Rosemay50. We definitely are enjoying our banana ice cream with no guilt. Hope you do too. Aloha! What could be easier, definitely a keeper. Can't wait to try this with the Nutella and then the honey. You've convinced me to try this. I can practically taste the peanut butter and banana melting on my tongue right now. Voted up and shared! What a great and healthful suggestion, Elayne. I'm going to try your banana 'ice cream.' With chocolate syrup, of course. Mahalo manatita44. I loved your banana song! Thank you dinkan53! I appreciate your vote and comments. Hope you enjoy the banana ice cream! Sounds and looks great, would love to try. Thanks for posting the recipe. Thanks for your banana ice-cream special. Hope I have some some day. Anyway, I come from the banana shores. You are so tasty and cold! For my insatiate desire, the Artic Roll tolls. Me too carozy. There are many of us banana lovers, and they do make a great creamy treat. Thanks for your comments. I've had banana-cream before and it's delicious. I've had chocolate and want to try it with a little vanilla extract. 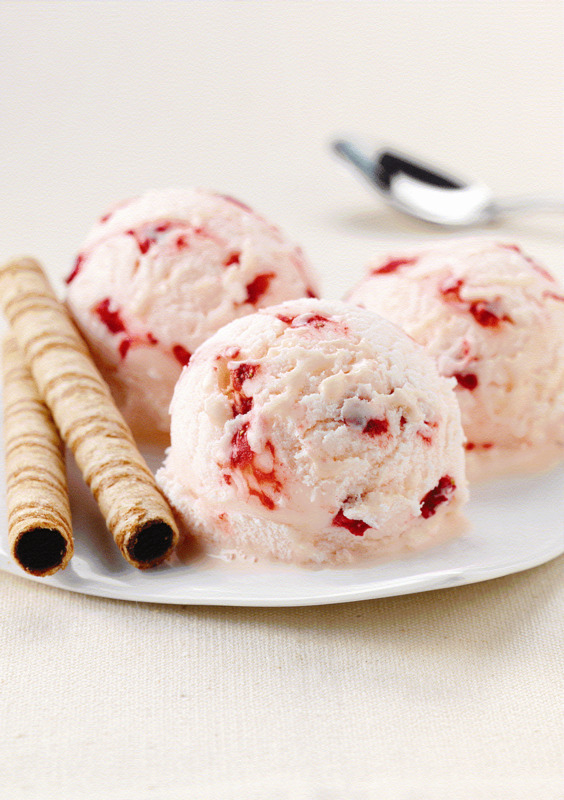 Thanks for sharing, it's a great recipe to know about to replace regular ice-cream with. Thank you KaurSimran7. I really appreciate your comment. Best wishes! That's so yummy and easy to make! Sounds delicious! 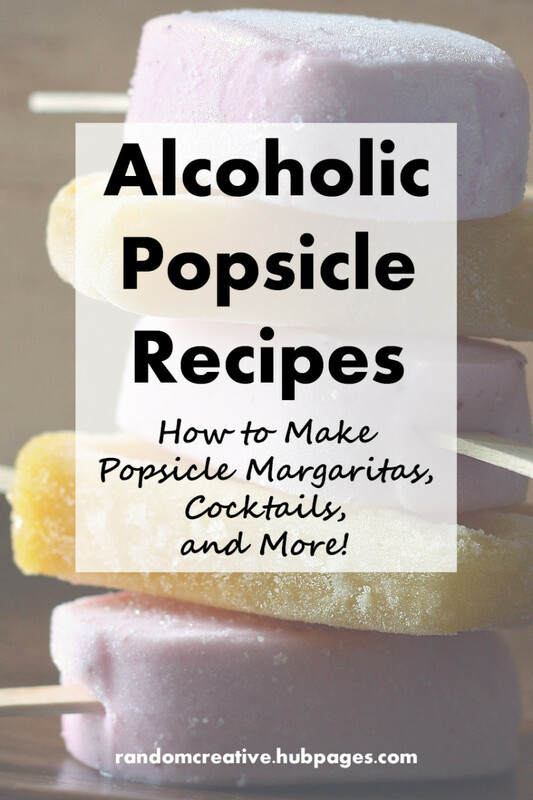 I will have to add this to my menu for healthy frozen treats. Thanks! What a great idea! I hope you rewarded your daughter for her brilliant idea!! It couldn't be easier and I'm sure its great because its pure, its banana, and its ice cream. Voted up, useful, and interesting as well as five stars. Wow! This sounds delicious. I love bananas. I´ll try this when I´m in my home country. Thumbs up and SHARED. BTW, thanks for your follow. This recipe sounds delicious and will be trying it hopefully soon. Voted up and useful. We love bananas, too Mama Kim 8. I'll definitely have to check out your banana cheesecake! Let us know which optional ingredients are your favorites daisyjae. Let us know how it works out for you Glenn Stok. Thanks also for the tip. Thanks for dropping by! Aloha! Thanks for your vote and comments hi friend! We're all going bananas! Glad you liked it LetitiaFT! So true, One ingredient is the minimum - it's like magic! I'm going to have to make this! I just love bananas ^_^ I have a couple of banana cheesecake recipe in my 6 in 1 cheesecake hub if your interested. voted up! I have tried this and it is awesome! I will definitely try some of your variations too. Gee, that sounds pretty easy to do. And healthy too since it's 100% banana. Interesting that the consistency becomes that of ice cream when done right, as you explained. I found a great way to make bananas last longer is to place them in a airtight plastic bag. You don't need those special bags that claim to do the same thing. Just thought I'd add that piece of info on the topic of bananas. My next step is to try your recipe with my blender. I'll start with just the bananas, but then later I'll do it again and try some experiments with adding things as you suggested as options. At the top of my list is to add frozen berries. I think that would go well together. I wouldn't add sugar for the same reason that you mentioned, banana are sweet enough as is. very useful and informative hub. Vote up with thanks. This is terrific! I love recipes with just a few choice ingredients, but this tops them all. Definitely a keeper. Voted everything.